Happy New Year from GHDT! Cheers to a joyous and safe 2017. We’re looking forward to what this year will bring for the company. Don’t miss an opportunity to attend all three productions in the remaining 2016-2017 season! 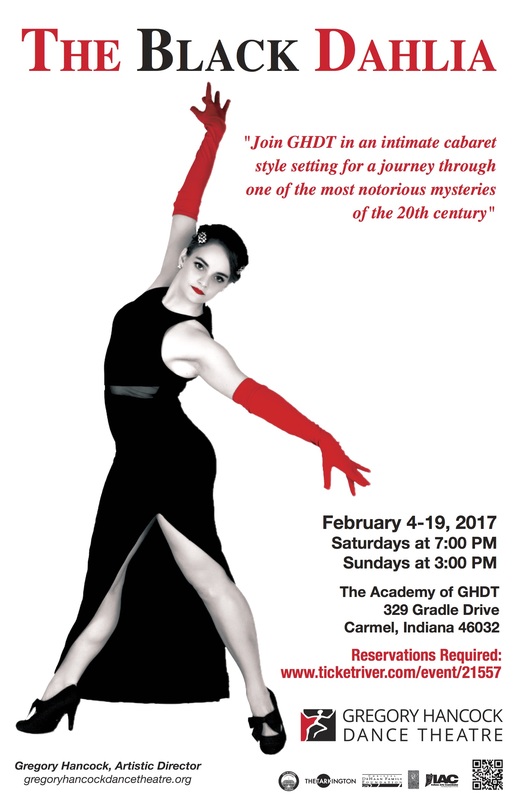 In February, “The Black Dahlia,” a new work by Artistic Director Gregory Hancock, will premier at The Academy of Gregory Hancock Dance Theatre in Carmel, Indiana. This annual February cabaret-style performance is a fundraising event for the company. 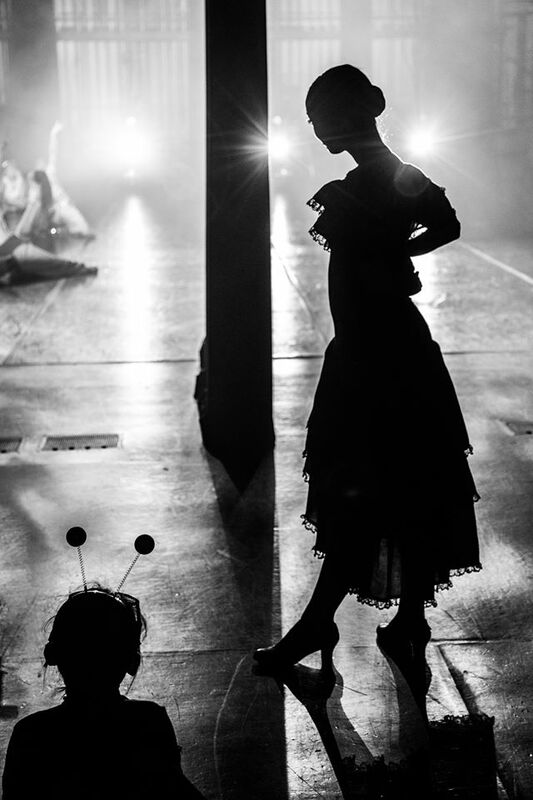 GHDT transforms the every day rehearsal space into a black box theatre, which creates an up-close, unique experience for the audience. Light refreshments are served. “The Black Dahlia” is a murder mystery ballet based on the story of the unsolved murder of Elizabeth Short from the 1940’s. Performances will be held the first three weekends of February (4th-19th), Saturdays at 7pm and Sundays at 3pm. “SUPERHERO -The Story of a Man Called Jesus” will return on Easter weekend, April 14 & 15 to The Tarkington at the Center for the Performing Arts in Carmel, Indiana. This fan favorite production is back by popular demand with performances at 7 p.m. Tickets are now available at the box office. We close our season with “A Night in India,” June 9 & 10 at The Tarkington. 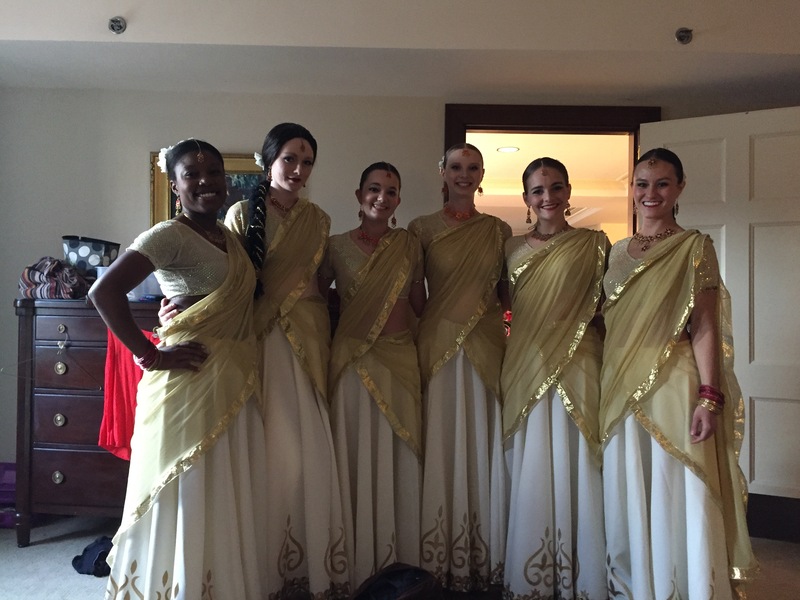 This production will highlight the beautiful history and culture of India as seen through the eyes of choreographer and Artistic Director Gregory Hancock. New works along with popular repertoire pieces will be performed by the talented and versatile company dancers. Buy your tickets today for a unique evening out at The Tarkington Theater! Along with the GHDT company performances this season, The Academy of GHDT will present “G2 and Academy Showcase” on June 4th at The Tarkington – one performance only. Come see the talented students of G2 and AGHDT perform new choreography and some popular company repertoire pieces. GHDT is looking forward to a wonderful new year! Please join us at the theatre! 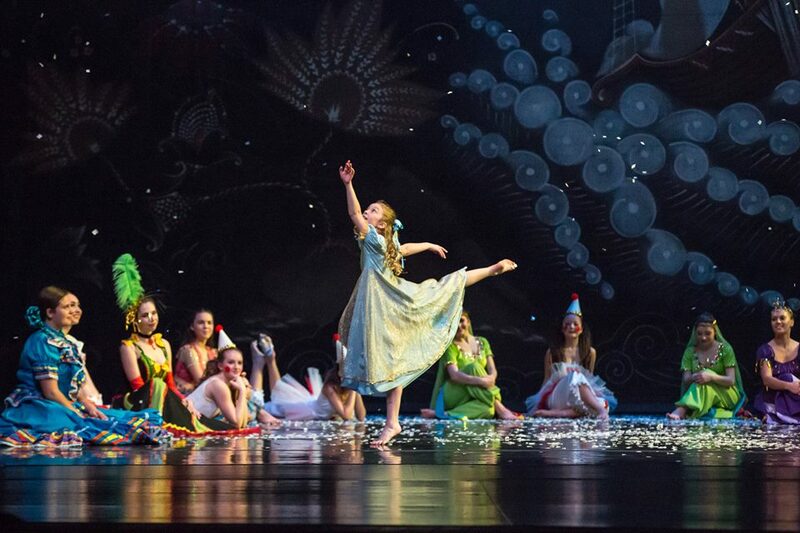 GHDT’s The Nutcracker was a raging success this year! All of the performers worked so hard to put on a beautiful, magical weekend of performances. From the wee little unicorns, to the 14 dancing snowflakes, everyone’s part came together to tell this heartwarming story of the season. 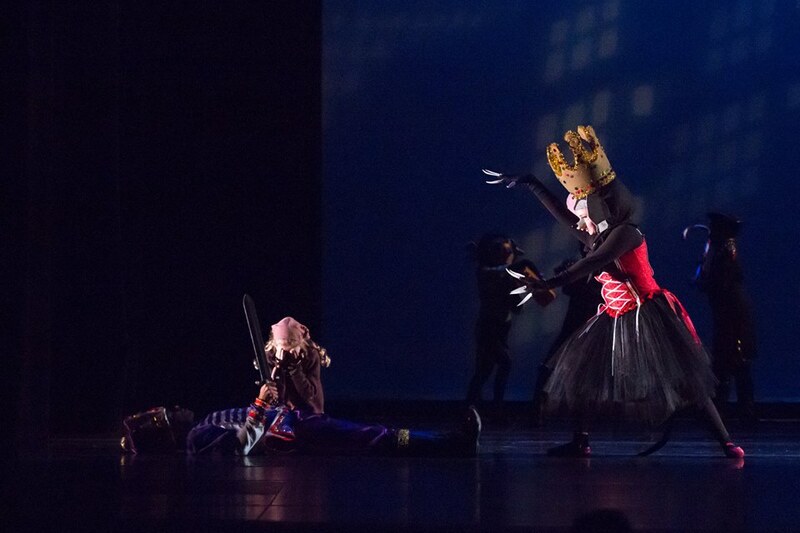 This was the 24th season that GHDT’s contemporary Nutcracker had been performed. Our lead roles this year, Klara, Sugar Plum Fairy, and Nutcracker Prince, were performed by Audrey Holloway, Nicholle Sanders, and Justin Sears. The dancer-favorite performance this year, was once again the school show. 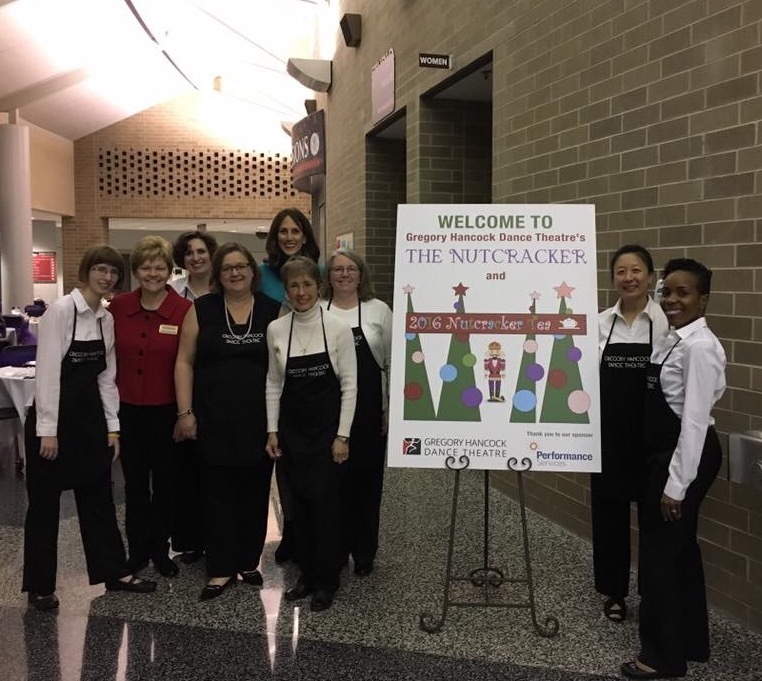 Every year, schools around the area come to Pike Performing Arts Center Friday morning of Nutcracker weekend, to see The Nutcracker. Our dancers get excused from school for the day, and get the amazing opportunity to perform in front of an audience of 1,400 children. If you missed it this year, be sure to join us next December for the 25th anniversary of The Nutcracker! The Tea wouldn’t be possible without all of our amazing business sponsors, donors, and volunteers. Special thanks our event sponsor Performance Services, Inc. Thank you to our donors for their support! A special thanks as well to all of the volunteers who worked the event. Mark your calendar for our fifth annual Nutcracker Tea next year! 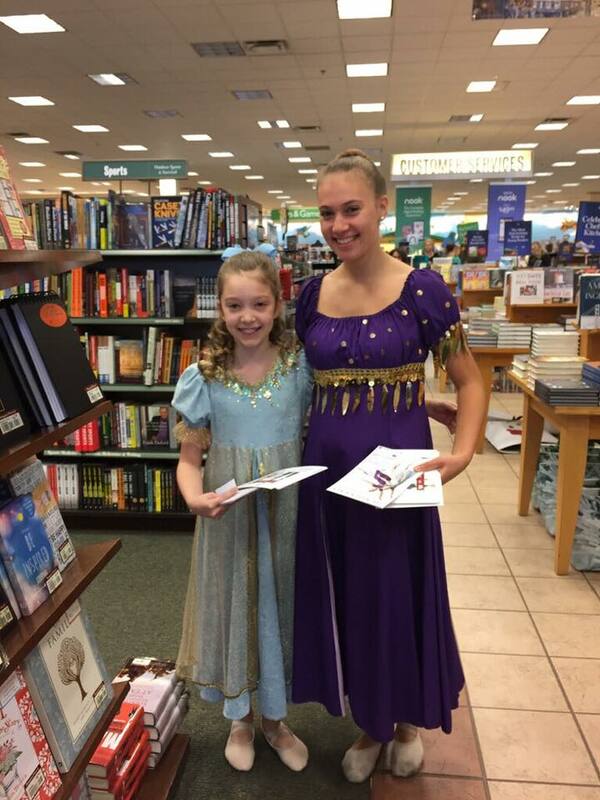 embers spent part of their Saturday at Barnes & Noble promoting their upcoming performance. 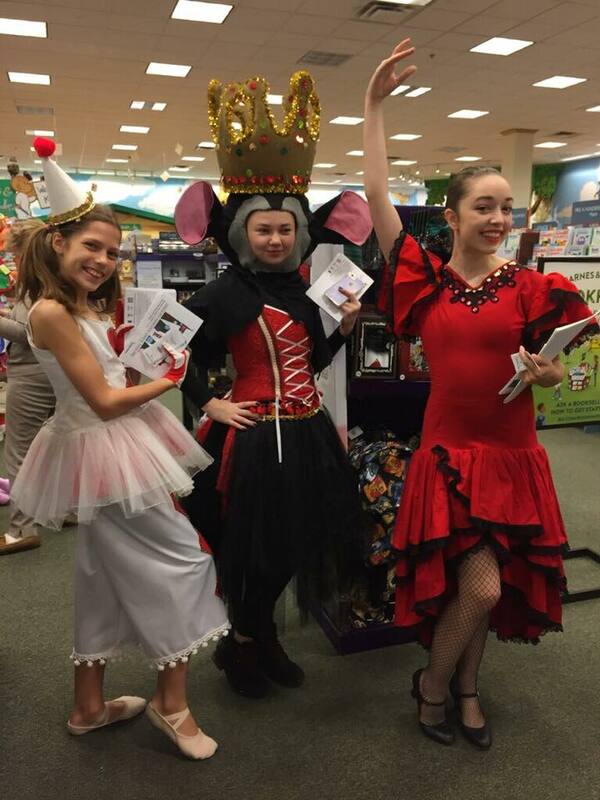 Patrons shopping at the bookstore that day, could mention GHDT while checking out, and GHDT received some profits. 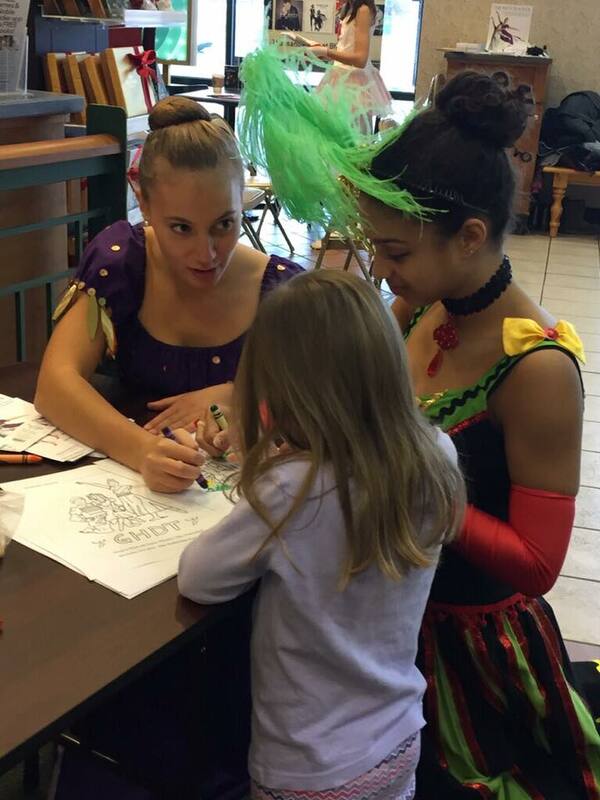 The dancers colored with children, told the story of The Nutcracker, greeted shoppers, and even did a little bit of dancing! The good news, is that you ca n still help out! Through Wednesday, if you’re shopping in store, be sure to mention GHDT! If you’re doing your shopping online, be sure to enter code #12043253 and a portion will benefit the company there as well! Nutcracker season is back! 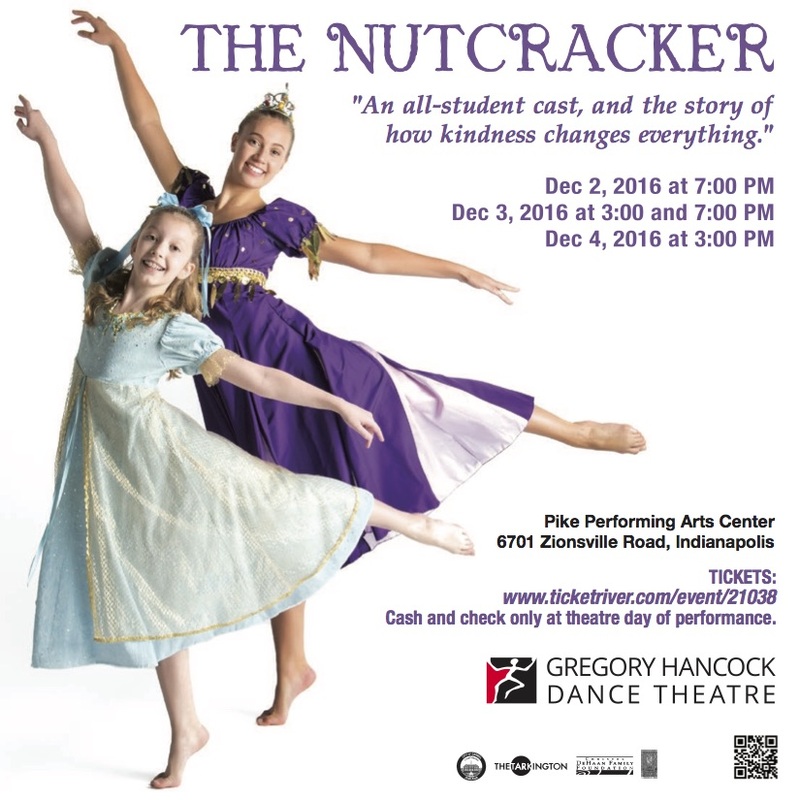 Gregory Hancock Dance Theatre presents The Nutcracker at Pike Performing Arts December 2-4, 2016. This full-length modern version of the holiday classic features the highly-talented dancers of G2, the pre-professional company go GHDT. G2 is joined by students from The Academy Of Gregory Hancock Dance Theatre and other young dancers filling the stage with movement and color! The Nutcracker follows the same overall storyline from the original, but with a uniquely different twist. This magical updated version portrays Klara as a homeless orphan girl who discovers the true meaning of the season through the gift and giving spirit of a homeless man. The Nutcracker is sure to add joy and cheer to your holiday season. Tickets for The Nutcracker can be bought here. Tickets at the door can be bought with CASH OR CHECK ONLY. “I had such an intense reaction to seeing the beautiful “Violin Under the Bed.” I ran across this article about this syndrome, first described in 1817, that pretty… well describes the physical as well as emotional feelings that I had at the end of that show. Ironically, another name for this is Florence syndrome. 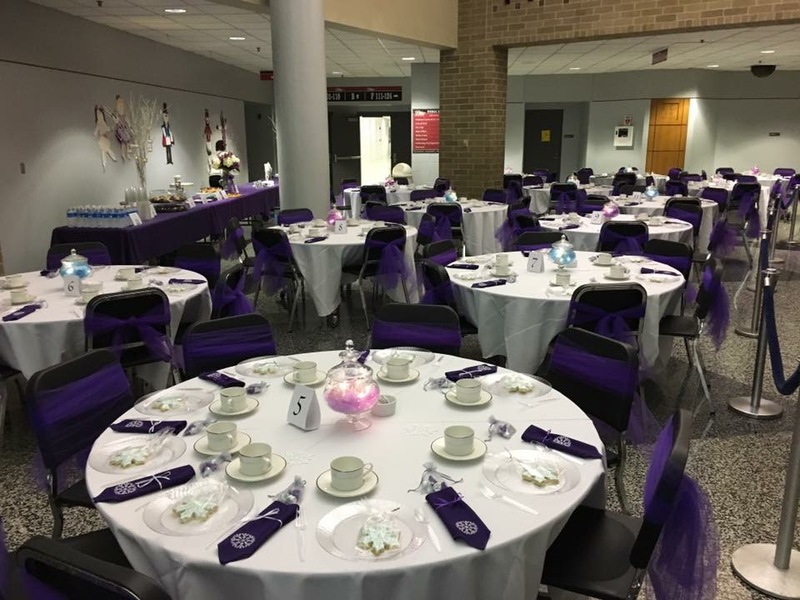 This past weekend, GHDT took part in a fundraiser for a wonderful organization. Gregory Hancock Dance Theatre, as well as the students in G2, performed in downtown Indianapolis. The performance was part of a 2-hour show raising money and awareness for Christel House. The company performed three pieces, and G2 one. Along with GHDT, there were many other performers working together. Anita Hjorth Lerche, a Danish singer who is well-known for her Indian songs, performed many numbers. Other appearances included flautist Gareth Laffely, Bollywood Beats dance group, Epiphany Dance Collective, Ballet Folklorico Mosaics, and singers Katie Schuman and Katy Gentry. 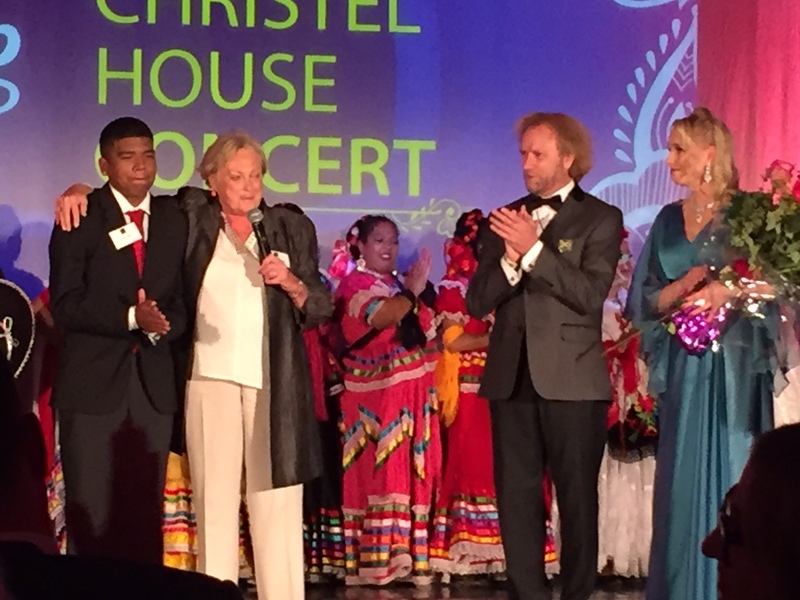 Together, the around 200 attendees raised over $180,000 for Christal House schools. Gregory Hancock Dance Theatre has been a part of this annual fundraiser for the past three years now. Christel House is a welcomed sponsor of the company, and the company loves giving back to this organization and helping raise so much money for the students of Christel House. Christel House is an organization that helps give children of poverty a better education. Founder and CEO, Christel DeHaan, immigrated to the United States from Germany in 1962. She founded Christel House International in 1998, and since then has opened 8 different schools around the globe. Currently, there are 4 schools around the Indianapolis area, 2 schools in India, 1 school in South Africa, and 1 school in Mexico. To learn more about Christel House schools, click here. 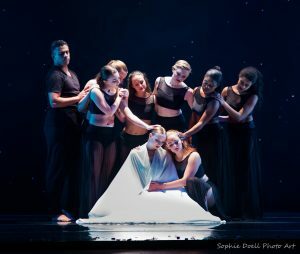 Featured Dancer, Abbie Lessaris talks about what The Violin Under the Bed means to her personally – and, speaks of her personal relationship with Florence Marie Hancock, the inspiration for the creation of the work. Earlier in the year, Abbie faced several surgeries that kept her from dancing and eventually postponed this premiere performance. The Violin Under the Bed & Scarlet Letter, the season opening performances for Gregory Hancock Dance Theatre ‘s 2016-17 season are October 7 & 8, 2016, 7:00PM – at The Tarkington, Center for the Performing Arts. Purchase Tickets Online or, call the Center at 317.843.3800. Last Chance for Season Tickets! FINAL DAYS TO PURCHASE SEASON TICKETS! 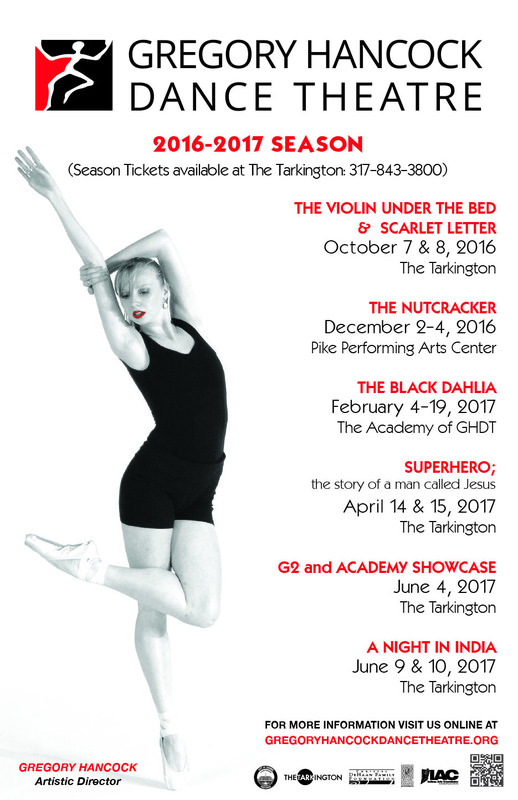 GHDT Season Tickets for The Tarkington performances are now on sale through September 19th ONLY! Call the Box Office Today at 317-843-3800 and save when purchasing Season Tickets. Season Tickets for the three Tarkington Performances are $115.50 for adults and $100.50 for students/seniors. This is SAVING you money compared to the single ticket pricing of $42.50 for adults and $37.50 for students/seniors. The Season Ticket package includes tickets for the World Premiere of The Violin Under the Bed and Scarlet Letter on October 7 & 8, Superhero – The story of a man called Jesus on Easter weekend , April 14 & 15, 2017 and A Night in India on June 9 & 10, 2017 at The Tarkington. You only have a few days left, so act quickly! Studio A Gets a Makeover! Thanks to a generous donation, Studio A received a makeover! This donation allowed us to purchase a brand new Marley floor. Our old floor was about 25 years old. 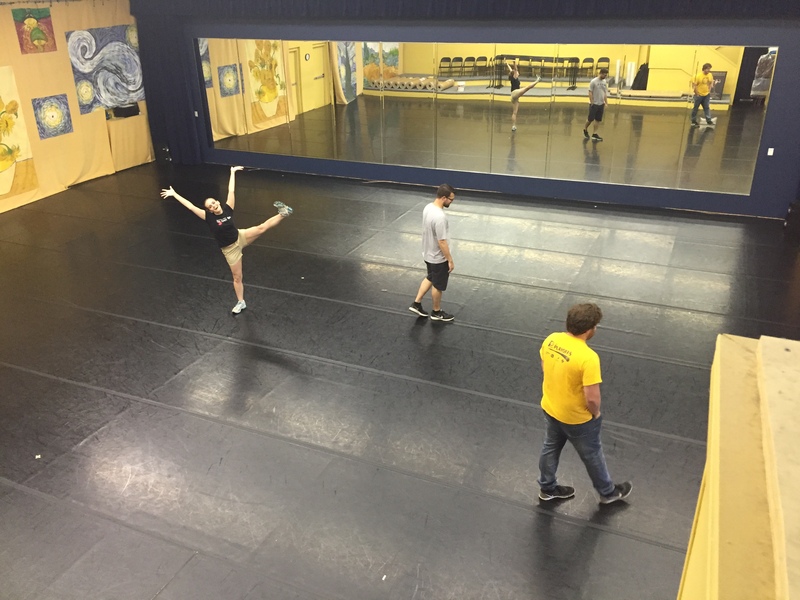 The old floor had been moved to and from many spaces and had multiple generations of dancers rehearse on it. 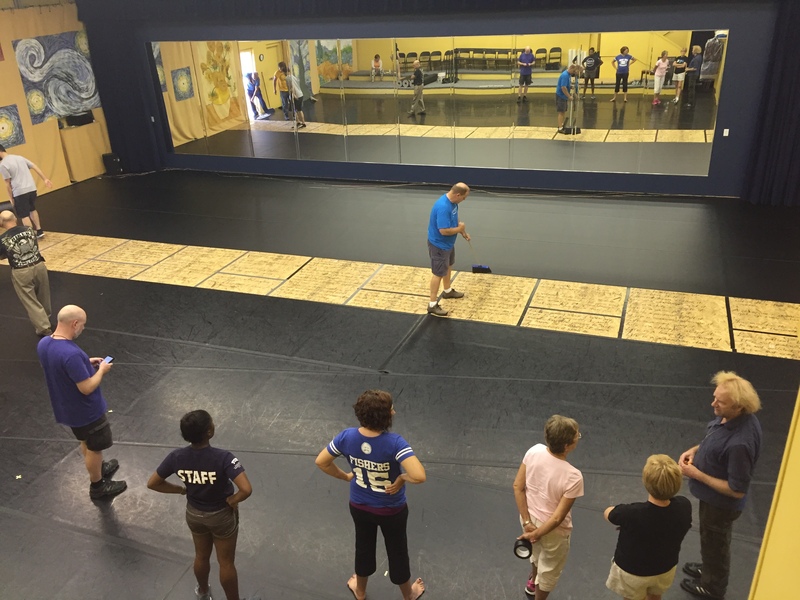 This old floor also traveled to The Tarkington Theatre in July 2015 for the premiere of La Casa Azul. The floor made the trip a second time as well for the encore performance of La Casa Azul in October 2015. The process of taking out the old floor and bringing in the new, took lots of helping hands. Company dancers, board members, academy families, and other guests volunteered their night to get the job done. In about two hours, the group rolled up each piece of old flooring, and laid down the new. Floor. Inspirational quotes lie underneath our feet as we dance all day. Some of the quotes included were said by Frida Kahlo, Mahatma Ghandi, Marilyn Monroe, and many more icons. 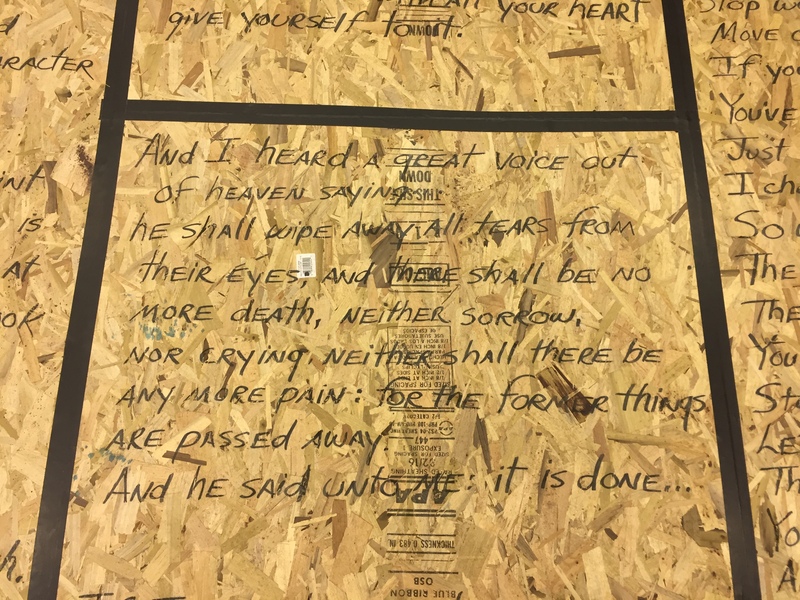 Every single quote was handwritten onto the floor by our director, Gregory Hancock. The final product came out beautifully. Our new Marley floor was left overnight to settle, and then was taped down to be completed. 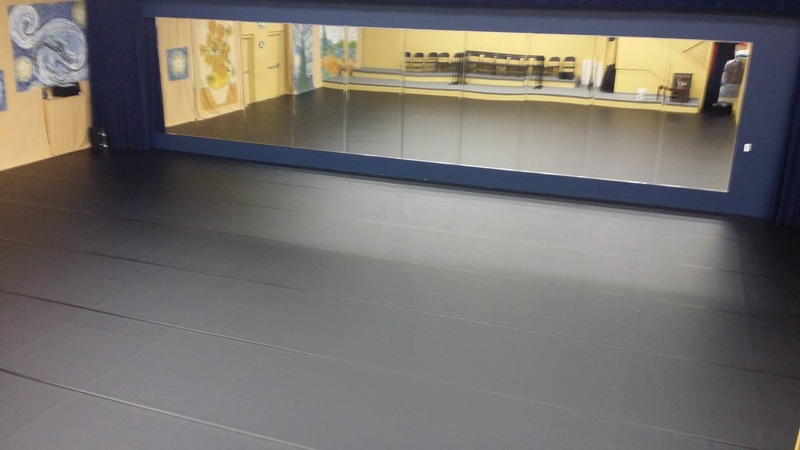 The company and academy students cannot wait to start rehearsing and taking classes on the brand new floor. Cheers to the next 25 years on our new Marley floor! Registration for 2016-2017 classes at The Academy is underway! Please come to one of our two open registration dates to sign-up for classes! The Fall 2016 class schedule can be found here. Registration forms, Class Calendar, and Tuition Policies can be found here. Please print out forms and have them filled out when you come to register. There will be a set of auditions for both G2 and CATS, as well as GHDT’s 2016 The Nutcracker on Saturday August 27th from 1-2pm. Please contact AGHDT if you have any questions or concerns! See all you dancers in class this Fall!